UK Mom Gives Birth In Shopping Center! Home » UK Mom Gives Birth In Shopping Center! Whether you are ready or not, you baby will arrive where ever and when ever they please. We have learned this time and time again. In cars, airplanes and sometimes in public, these little guys are unabashed and eager to see the world. That fact was once again re-affirmed on Thursday when a mom-to-be went into labour and delivered her baby in a UK shopping center. 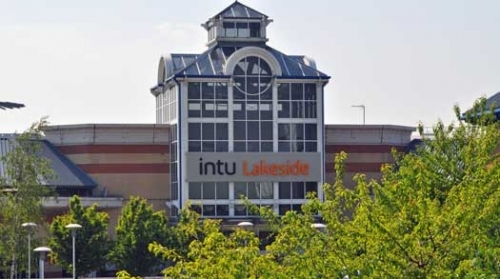 The BBC reports that a woman, who was shopping, contacted security staff after her water broke at the Intu Lakeside Shopping Centre in Essex. The impatient baby girl, however, refused to wait for paramedics and was born before an ambulance could arrive. Paul Lancaster, regional manager of Intu, said the woman had been in “distress” but was now “doing well”. Staff at Primark department store provided towels for the woman and an area was curtained off to give her a bit of privacy. “In 23 years we’ve never had a birth at the site,” said Mr. Lancaster. “Plenty of ladies have broken water and gone off to hospital and no doubt a couple of babies have been conceived here. “It all happened rather quickly before the ambulance could get there. They responded really quickly. Congratulations to the new parents! We are sure this is a story they will tell for many years.